Accidentally deleting important files, folders, or photos is one of the most common experiences in computing today, and can be the source of endless headaches for anyone who doesn’t know what options they have available after they click “erase”. Luckily, an entire industry of software providers have sprung up to solve this issue, but how can you know which program is ultimately right for you? With an array of features that change between every application and about a thousand different filetype scans to consider, Comparitech is here to break down anything and everything you need to know about data recovery software: from how it works to which companies are out there doing it better than the rest. So whether you’ve unintentionally wiped out half your family photos or just want a way to take more control over how your data is stored and deleted, read on in our guide to the best free data recovery software of 2019 to find out more! Tip: If you are serious about recovering your files it’s worth spending a little money to do so. While free options have their uses, paying for a service will give you the best chance to recover data with the least hassle and time. 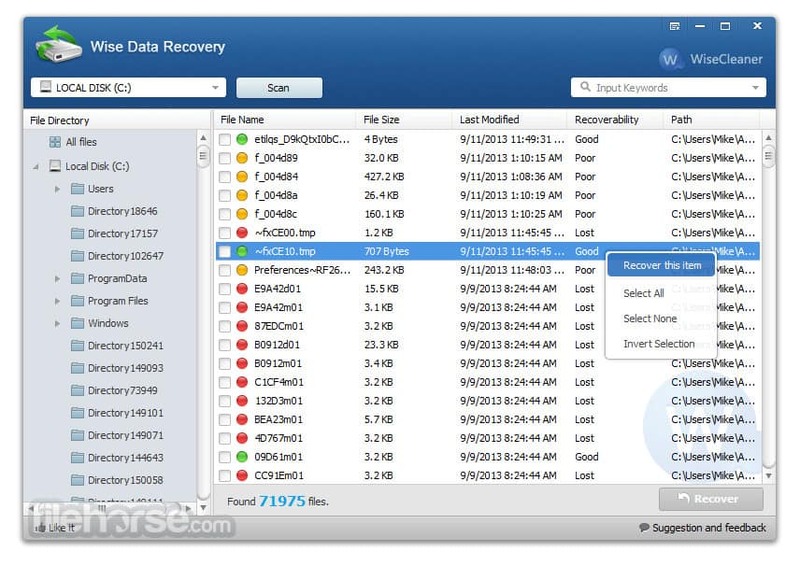 Here’s our roundup of the top paid data recovery software. If you’re new to the world of free data recovery and aren’t quite sure which features to look for or which are the most important for your specific application, this section should help to demystify what you need to know. When deciding which free data recovery software will be the right one for your own needs, there are a number of different factors that should be considered before making the final choice. If you listen to any of the PR copy spouted by many of the most popular data recovery software makers out there, we wouldn’t fault you for thinking that free software doesn’t come with enough features, or that it won’t find the data you’re looking for. At worst, it could potentially destroy all future attempts at getting your data back, if you’re not careful. Most of this is definitely hyperbole on the part of the people who are trying to sell you something that other people are just giving away for free, but there is some merit to the claims of data accidentally being destroyed by free programs. It doesn’t happen as much these days, but earlier versions of some free data recovery options could actually do more harm than good in the wrong hands. The scanning process to find lost files can at times be taxing enough on its own to cause the drive to lose the data before the scan can get to it. If the software isn’t equipped to handle delicate situations like that, it can accidentally overwrite a deleted sector during the scan itself, rendering it useless or corrupted by the time the results pop up. That said, all of the options we have on this list are highly regarded in the data recovery industry, and have enough positive reviews from satisfied customers that we feel comfortable recommending them to anyone who’s trying to get their lost data restored. Lastly, keep in mind that many of the premium paid recovery software suites can include some kind of free trial or evaluation period on download. This means if you only have a few files to recover on a one-off deal, you could still easily get all the benefits of the best software out there without any of the associated cost! 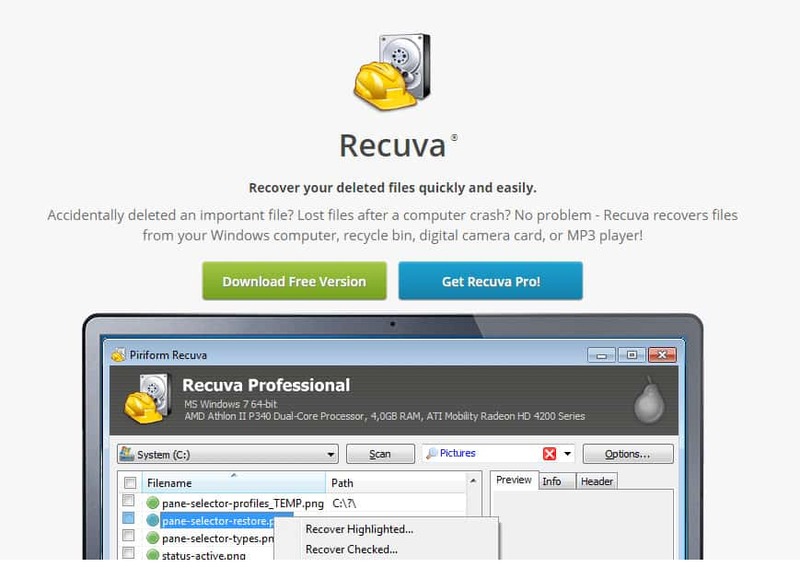 Recuva is known around the web as one of the best designed, most user intuitive data recovery solutions out there. But great design alone does not a successful program make, right? Luckily, Recuva also comes with a whole host of extra features on the backend, making it one of the best values in data recovery that you’ll find on the web today. This includes an extensive number of supported drive types and formats as well as an upgrade package that includes virtual hard drive support. Virtual hard drive support is crucial if you’re worried about the physical health of your drive because it allows you to scan and diagnose on a digital shadow copy of the disk instead of the drive itself. The main drawback of Recuva is that, for the time being, only Windows users have the privilege of being able to use it. This means that if you’re trying to recover data on an OSX device, you’ll need to check out one of the other options we have listed below. 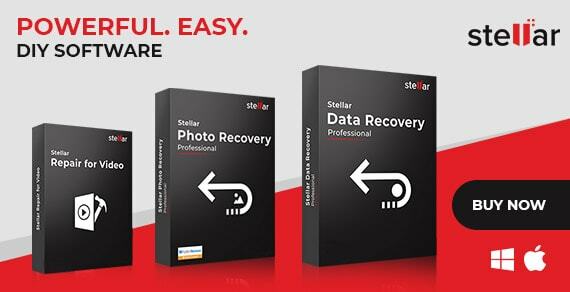 With a world-class user interface, deep scanning abilities, and the option to recover just about any file type you can think of, it’s not hard to see why Stellar Phoenix Data Recovery Pro is near the top of our recommendation pile. But why didn’t it take the top spot? Well, because it’s not exactly as free as other software options listed here. Stellar Phoenix lets you download, install, and run the program free of charge, and will even let you scan as many times as you want to without paying a dime. On top of that, in the free version you can recover up to 1GB of lost files (25MB max per file) before you have to pull out the credit card. If you’re only trying to save a few photos or maybe a video or two, the Live Preview feature is one of the best we’ve seen, and makes searching for lost media much easier than it was before. The full suite will set you back a wallet-bending $59 ($79 for the deluxe package), but when we reviewed the software we found the amount of features it offered was more than enough to justify the cost. The Live Preview feature is the true standout of Stellar Phoenix, making it so seamless to scroll through deleted pictures/text documents you’d swear they never left in the first place. Add to that the ability to support Linux, Windows, and Mac (all separate purchases, though, so get ready to pony up), and you’ve got one of the best data recovery options of 2018! Pandora Recovery is a great choice for anyone who might be more of a data recovery novice. From the installation process to actually getting the data recovered, Pandora holds your hand the whole way. It even goes so far as to put a “success rate” percentage next to any files you want to recover. These percentages tell you the exact chance a user will have of successfully getting the file they want back. 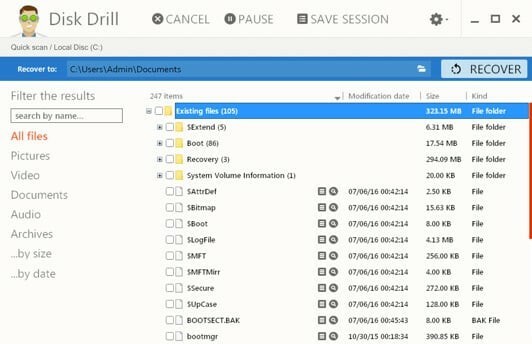 Aside from having a whole laundry list of extra features and options tacked on to its already-impressive scanning capabilities, the company’s Disk Drill utility also holds the distinction of being the only software on this list that lets you fully recover as much data as you want on OSX devices for free. That’s right Macheads, if you’re looking for a solidly-designed data recovery client that can bring a drive on your Macbook or iMac back from the dead, this is the one to go with (and don’t worry Microsoft loyals, it works on Windows too). Like Disk Drill, Pandora will only work if you install it on the computer you plan to do the recovery on. This can make it a riskier choice for anyone who’s afraid that simply turning on their damaged hard drive could be a problem, but as long as you’re only trying to undo a previous deletion or quick format, Disk Drill is the way to go. Disk Drill can scan and recover files on FAT, exFAT, NTFS, HFS+, and EXT2/3/4 drives, making it one of the most extensively equipped options on this list. Add to this the ability to pause and resume scans in progress as well as partition new drives all from the same client, and you’ve got a winning combination that every operating system user can enjoy. Wise Data Recovery is a good choice if you’re looking to get in, out, and on your way in record time. This exceptionally lightweight program is quick to download and install and features some of the fastest scanning times in the business. Wise Data Recovery also has a similar option to what we saw in Pandora, where any files detected during the scan come with a “success rate” indicator which will tell you how good your odds are of actually getting a file back before you try to recover it. 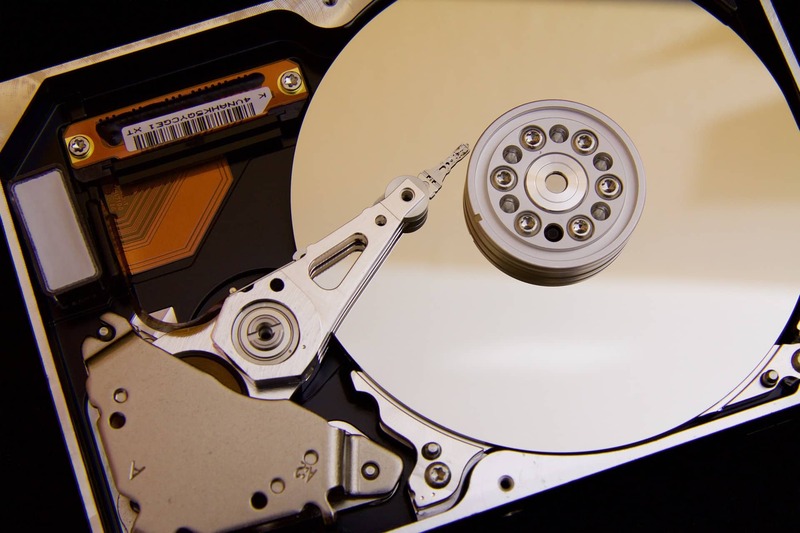 Wise Data Recovery isn’t necessarily the best when it comes to recovery success rates according to some user reviews, but for scanning speed alone it’s a hard one to beat. No one likes to lose their data, which is why it’s important that you always have some kind of data recovery software at the ready the next time you accidentally delete that big project for school or vaporize the family’s photo album from the trip to the Grand Canyon last year. Of course, you can always circumvent this process entirely if you stick to a consistent backup schedule and regularly employ the services of any one of the best online backup solutions that we’ve tested for 2019. Backing up your data on a regular basis is the most secure and reliable way to guarantee you’ll never even need data recovery software in the first place. But what if you’re not trying to recover lost data and want to find a way to prevent a file from being found by one of these programs ever again? That sounds like a job for the best secure erase software, which you can learn more about by checking out the link here.